We all know that the weather can be extreme in this part of the state of Kansas due to Garden City’s elevation. So, it is a must to weatherproof your homes, garage doors included. 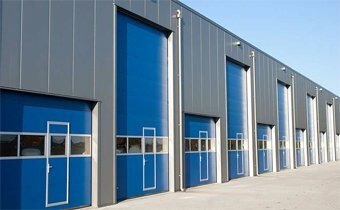 Our garage doors are exposed to the external environment and they bear the brunt of the harsh weather conditions. It would be a total waste of money if you do not give it weather protection because not only would it deteriorate really fast, your properties inside the garage would also be affected. Think about moisture, parasites, and dirt. We certainly don’t want them in our garage. That is why it is very important to give your garage door protection from the weather so that it can protect you and your belongings. And when it comes to giving excellent weather protection to your garage doors, you can rely on no other than A1 Garage Door Service. Our garage door specialists can check your garage door and give you a free estimate of how much it would cost to weatherproof your garage door. You can have peace of mind that no matter what the weather is outside your home, the inside is not affected even for a little bit because our expert garage door service providers will make sure that your garage door is fully protected from the weather. We shall leave no opening uncovered and make sure that your garage door is completely sealed so that unwanted particles will not come creeping inside your garage. Call A1 Garage Door Service now. A1 Garage Door Service has been given an A+ rating by the Better Business Bureau. This is proof that we are a company that you can trust. We have exceeded the expectations of the prestigious BBB when it comes to business operations and customer service. They have carefully assessed all aspects of our business process and found us going over and above the high business standards that they have set. A1 Garage Door Service has a team of highly competent employees who have passed rigid background checking, drug testing, and further training in all matters pertaining to the garage door industry. Our business is licensed, bonded, and secured so you can be sure that all our transactions are rightful. Most of all, you are always protected. Truly, you can find no other company like A1 Garage Door Service here in Garden City. A1 Garage Door Service is a family owned and operated company. We have been helping boost the economy of Garden City with our family business. We provide gainful employment to qualified individuals and we provide the city with quality service that A1 Garage Door Service has been known for. With A1 Garage Door Service, community members in Garden City get first class service right within the vicinity. We encourage everyone to support local and we promise to give our best in every job that you entrust us with.